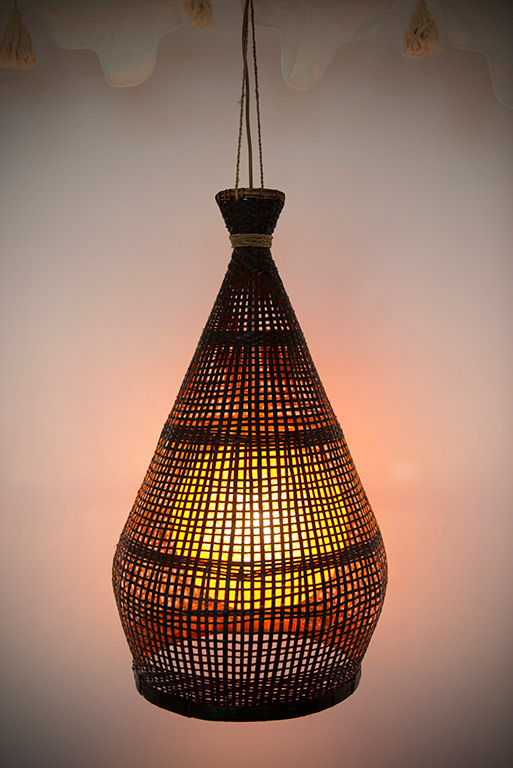 Hand Crafted Gold Moroccan Lanterns from Marrakech adorn our tents beautifully and powered with mains electricity provide ample lighting with an atmospheric glow, perfect to enhance the mood. Crystal Chandeliers add a touch of glamour and opulence and can compliment our more neutral colour schemes. For a classic look they work beautifully with the plain cream linings and Jalli sequin wall panels. For another smokey look, our Large Black Chandeliers are a knock out. 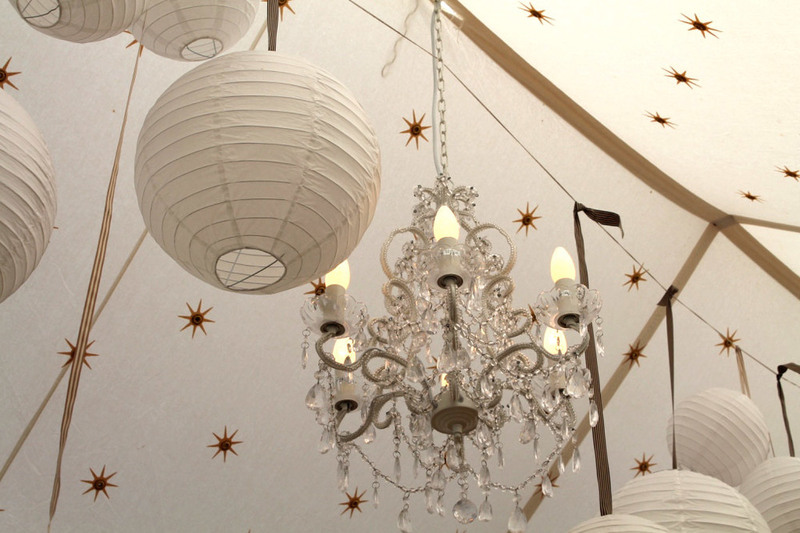 Popular and versatile our Festoon Lighting can be used inside your Tent or to light up your outdoor spaces. 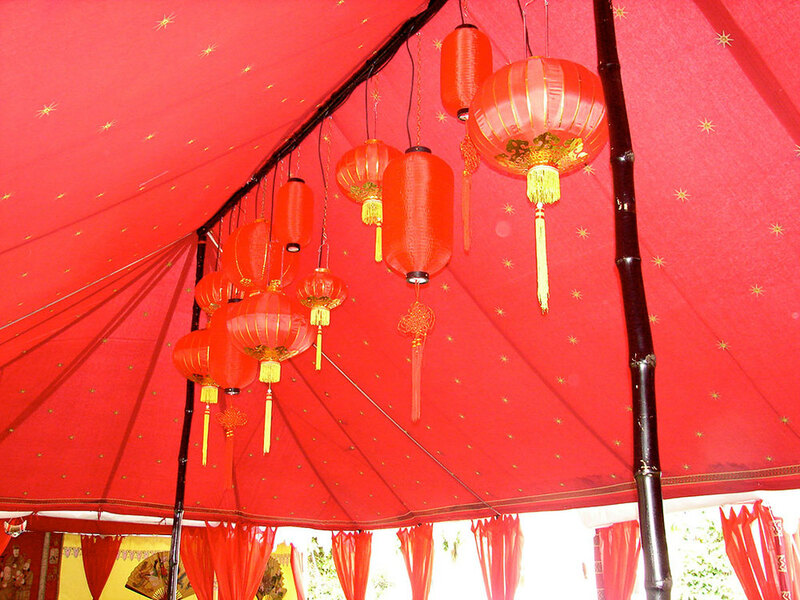 We can also help theme your event with whatever lighting options you desire such as Red Silk Chinese lanterns, fairy lights or halogen spot lights.